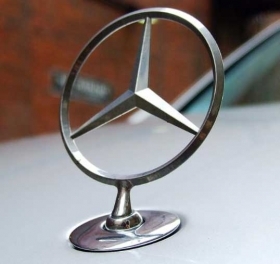 FRANKFURT – Global sales of the Mercedes-Benz brand rose 5.1 percent to 86,921 cars in January, the automaker said. Strong growth in the U.S. and Germany and the continued success of its new B- and C-class models helped the automaker to hit record sales last month. Sales of Smart vehicles rose 13.7 percent to 7,605 units in the same period. Despite an ongoing debt crisis in Europe and a general slowdown in global car sales, the automaker forecast continued growth in 2012. "This year, we want to exceed our record sales from 2011 and once again plan to achieve the best year in the company's history," Mercedes sales chief, Joachim Schmidt, said in a statement on Friday. Strong sales last month were led by demand in the U.S., where sales jumped 23.8 percent to 20,306 cars, making Mercedes the best-selling premium brand in the country, ahead of nearest rivals BMW and Lexus. Sales in western European countries, excluding Germany, rose just 1.4 percent to 21,578, as problems in the eurozone continue to suppress consumer spending. But in its German home market, the automaker defied a regional downturn with sales rising 14 percent to 12,627 cars last month. In China, the world's biggest car market, sales fell 7 percent to 14,463 units in January, due Mercedes said, to the partial unavailability of some models in the market. Sales in other emerging markets continued to go from strength to strength. In Russia, sales rose 41.7 percent last month and in India, sales were up 17 percent in the same period. Overall sales for Mercedes-Benz Cars in January totaled 94,526 units, a rise of 5.8 percent.